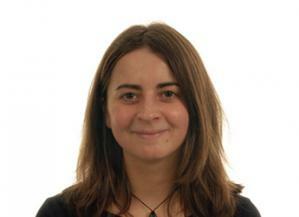 With a background in environmental sciences and geographical information management, and previous work on spatio-temporal modelling in agricultural landscape (LandSFACTS modelling software), Marie is now involved in modelling land-use scenarios and assessing the multi-functionality of landscapes in rural Scotland. using the tool on current Scottish landscapes to investigate potential policy or climate change outcomes on ecosystem services, through land use change scenario assessments. Brown, I.; Castellazzi, M. (2015) Changes in climate variability with reference to land quality and agriculture in Scotland., International Journal of Biometeorology, 59, 717-732. Brown, I.; Castellazzi, M.; Feliciano, D. (2014) Comparing path dependence and spatial targeting of land use in implementing climate change responses., Land, 3, 850-873. Brown, I.; Castellazzi, M. (2014) Scenario analysis for regional decision-making on sustainable multifunctional land uses., Regional Environmental Change, 14, 1357-1371. Sarkki, S.; Grunewald, K.; Alados,C.L. ; Nijnik,M. ; Ficko, A.; Formanek, P.; Malis, F.; Wielgolaski, F.E. ; Laine, K.; Skre, O.; Inkeroinen, J.; Miller, D.R. ; Brown, I.; Castellazzi, M.; Munoz-Rojas, J.; Helliwell, R.C. (2014) Questionnaire based investigation of stakeholder needs as linked to ecosystem services, governance, and science in European treeline areas., Report of COST Action ES1203 on Enhancing the Resilience Capacity of SENSitive Mountain FORest Ecosystems under Environmental Change (SENSFOR), 6ECST, Brussels, 64pp. Crossman J.; Whitehead P.; Futter M.N. ; Jin L.; Shahgedanova, M.; Castellazzi, M.; Wade, A.J. (2013) The interactive responses of water quality and hydrology to changes in multiple stressors, and implications for the long-term effective management of phosphorus, Science of the Total Environment, 454, 230-244. Ronfort, C.; Souchere, V.; Martin, P.; Sebillotte, C.; Castellazzi, M.S. ; Barbottin, A.; Meynard, J.M. ; Laignel, B. (2011) Methodology for land use change scenario assessment for runoff impacts: A case study in a north-western European Loess belt region (Pays de Caux, France)., Catena, 86, 36-48. Castellazzi, M.S. ; Brown, I. (2011) Deliverable 1.8: Land use scenarios for one demonstration catchment together with a model land-use system and software interface for the other catchments., FP7 REFRESH (Adaptive Strategies to Mitigate the Impacts of Climate Change on European Freshwater Ecosystems), Project No. 244121. Castellazzi, M.S. ; Brown, I. (2011) Deliverable 1.9: Generic toolkit applicable in any catchment to link land-use to climate change scenarios through changing land capability and incorporate adaptation options., FP7 REFRESH (Adaptive Strategies to Mitigate the Impacts of Climate Change on European Freshwater Ecosystems), Project No. 244121. Castellazzi, M.S. ; Matthews, J.; Angevin, F.; Wood, G.A. ; Burgess, P.J. ; Brown, I.; Conrad, K.F. ; Perry, P.N. (2010) Simulation scenarios of spatio-temporal arrangement of crops at the landscape scale., Environmental Modelling and Software, 25, 1881-1889. Dunn, S.M. ; Birkel, C.; Castellazzi, M.S. (2010) Catchment scale recovery from diffuse pollution: some initial scenario exploration., Proceedings of the 14th International Conference, IWA Diffuse Pollution Specialist Group: Diffuse Pollution and Eutrophication, Quebec, Canada, 12-17 September 2010. Castellazzi, M.S., Wood, G.A., Burgess, P.J., Morris, J., Conrad, K.F., and Perry, J.N. (2008) A systematic representation of crop rotations., Agricultural Systems, 97, 26-33. Castellazzi, M.S. ; Perry, J.N. ; Colbach, N.; Monod, H.; Adamczyk, K.; Viaud, V.; Conrad, K.F. (2007) New measures and tests of temporal and spatial pattern of crops in agricultural landscapes., Agriculture, Ecosystems and Environment, 118, 339-349. Castellazzi, M.S. ; Brookes P.C. ; Jenkinson, D.S. (2004) Distribution of microbial biomass down soil profiles under regenerating woodland., Soil Biology and Biochemistry, 36,1485-1489.